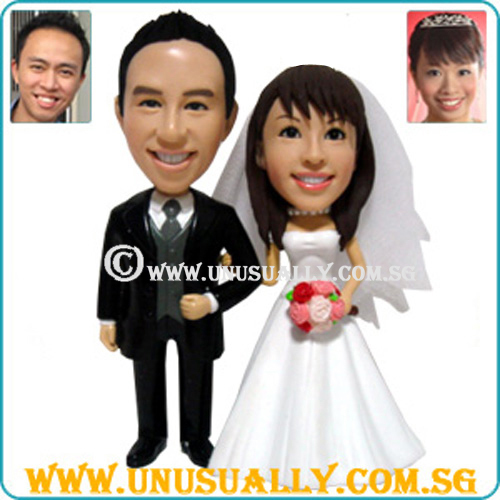 * As this is a 3D caricature figurines, we promise our customers a 60 - 70% resemblance to the photo supplied but not the real person as artists refers to the photo to hand-sculpt the figurines. 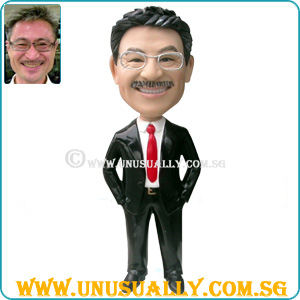 * For standard order, we will provide head proofing process to ensure the figurine's resemble to the person photo. This process will be provided free of charge. 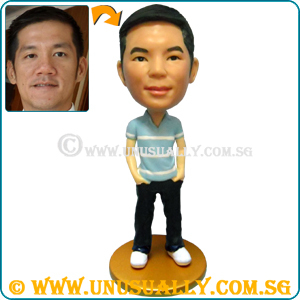 * To make the figurine as bobblehead. 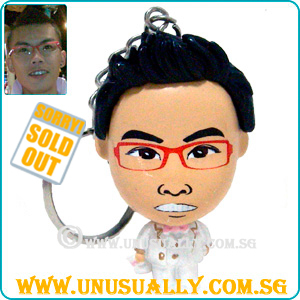 Additional SGD25.00 per doll will be added. * For an additional of $15 (< 15 alphabets). You can have the option of adding custom decal wordings. If more than 15 alphbets. The additional cost will be S$20. Wordings will be added in sticker format.